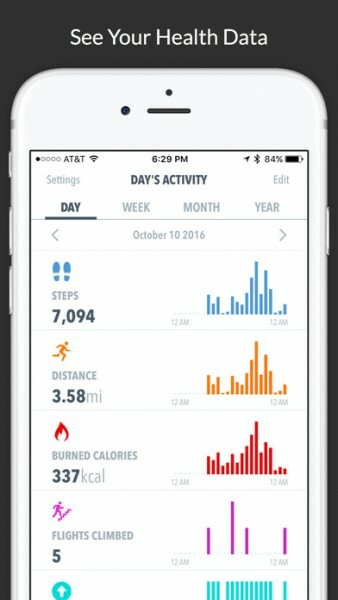 HealthView - Your Health & Fitness Data Dashboard ($1.99) by Funn Media, LLC is a fresh new way to see all of your HealthKit data in a single glance. With the new year off to a fairly good start so far, there’s no better time than now to get a bit more active in your life and make sure that you know how your progress is going. Even though we are only four days into the new year so far, I’m pretty sure that a lot of you (including myself) have the resolution of becoming a bit healthier this year, or at least try a bit harder to be. 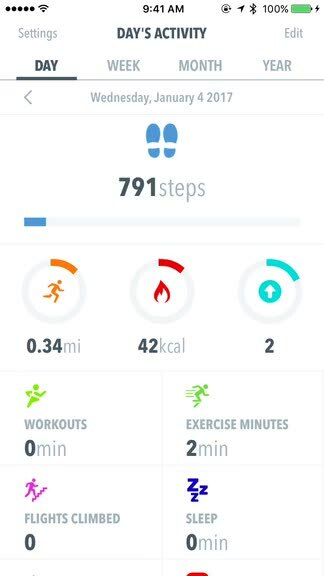 Ever since I started using wearable tech like Fitbit and even the Apple Watch itself, I’ve felt much more motivated to get up and moving, even if it’s just things like walking around the neighborhood or longer days of Pokémon Go hunting. And apps like Workouts++ help out with easier exercise tracking. Ever since Apple released HealthKit several years ago now, I’ve been using it as my main go-to hub for all of my health data from every app that makes use of it, but I’m definitely not a fan of the interface that Apple decided to go with. The cards feel a bit clunky when you want to see a lot of different metrics, and everything is now the same color so it’s hard to tell things apart easily. 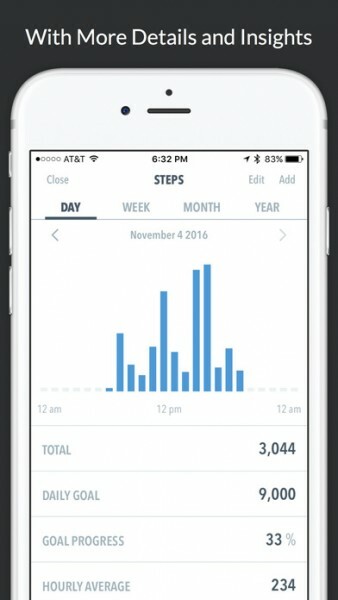 So when I saw HealthView on the App Store, I was intrigued because it lets you see the same health information but in a much cleaner way. Needless to say, I’m not disappointed with this one. Visually speaking, HealthView is simple and clean. 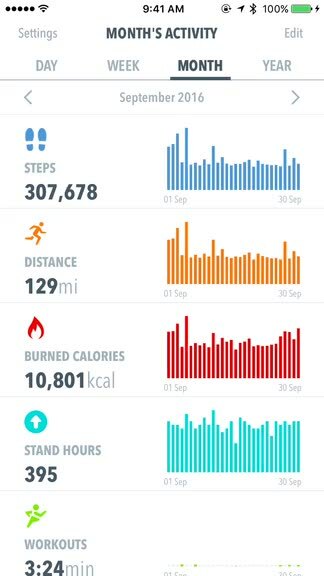 In fact, it kind of reminds me a bit of the Fitbit app interface when I still used a Fitbit device. The app features a bright white background that makes it feel rather Apple-like, and because of this, the various colors used on the icons for each different metric type and graph contrast nicely and make it super easy to tell everything apart from a glance. I found the sans serif typography to be incredibly sleek and legible, fitting in with the modernized look of the app itself. Everything in HealthView is also organized so you’ll never get lost, and it refreshes the data quickly, depending on the view you’re viewing. Another nice touch is when you pull-to-refresh, because there’s a cute little heart animation to indicate that any updated data is loading. Despite being just a dashboard for your health data, I think Funn Media did a fantastic job of turning your data into beautiful eye candy. The first thing you’ll need to do when HealthView is launched is to give it permission to access your HealthKit data, whether it’s everything or just select things. 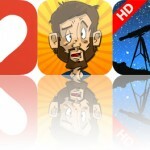 Personally, since I prefer using this app over Apple’s Health, I just let it access everything to make my life easier. Once the data gets imported into HealthView, you’ll be able to view four different sections: Day, Week, Month, and Year. You can also change what metrics are displayed by tapping on the “Edit” button in the top right corner and toggling each piece of data that you want to see or not. HealthView also lets you switch between two views for Day view: List and Goals, which you can do from the Edit view. 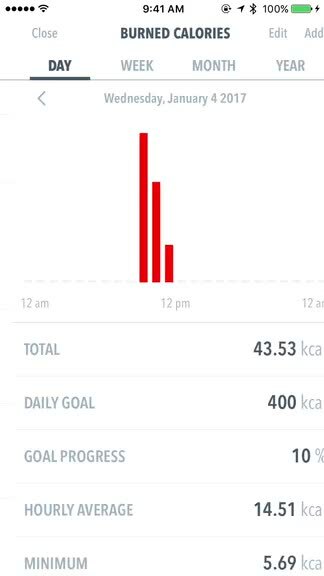 The List view just presents you with the data in graphs, whereas Goals shows you how your progress during the day is coming along. 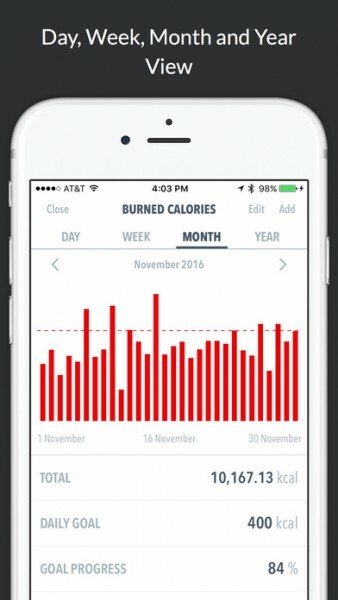 No matter which view you’re in though, you can tap on any metric in any view to check out more details regarding it, such as the set daily goal, daily average, record high and lows, and more. While the Day view is probably what will be used the most in HealthView, I found the option of being able to look back at entire months and years to be fascinating, especially since I have two complete year’s worth of data in HealthKit. It’s a great way to check on how my progress has come along, and I can definitely say that I’ve been much more active in 2016 than I was in 2015. Even looking back on certain months is a great way to reflect. 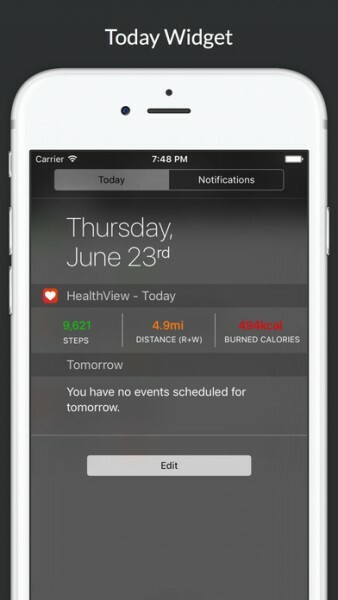 HealthView also includes a great little Today View widget too, so you can see your day’s progress with a single swipe. It’s also customizable, so you can go into the app settings to change the data sets that are shown in the widget. By default, it displays Steps, Distance (Running and Walking), and Burned Calories. You can change any of these to whatever else is available, such as Stand Hours, Hydration, Flights Climbed, Sleep, Exercise Minutes, and more. For those who have an Apple Watch, HealthView allows customization of the complications for each different type of Watch face, where you can pick what metric is shown in the complication as well as both Day and Week activity data sets. Having such flexible customization with the widget and Apple Watch companion app and complications truly make HealthView a winner. 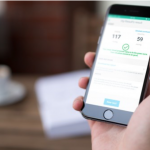 While HealthView is not exactly a new app, it has gone through a lot of changes with updates and it’s a great time to have the app around for your health goals for the new year. I’ve only just discovered it recently as well, but it’s definitely a keeper for me because of the slick UI and presenting all the data I care about in one comprehensive glance. The only improvement I would like to see made is the addition of a dark theme, as I think that would work out well with the color-coded metric icons and graphs. 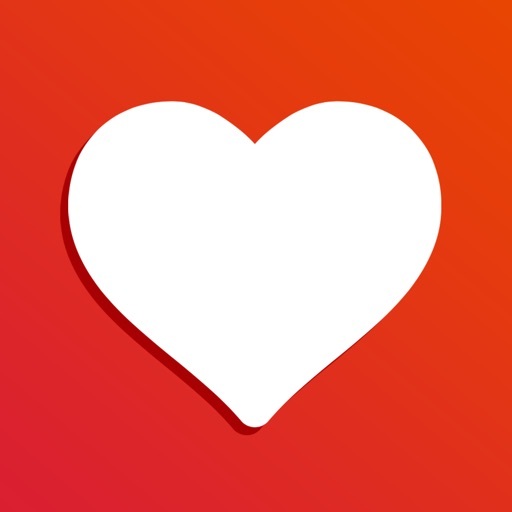 I recommend grabbing HealthView if you are looking for a useful app that provides you with an easy-to-read dashboard of all of your HealthKit data. 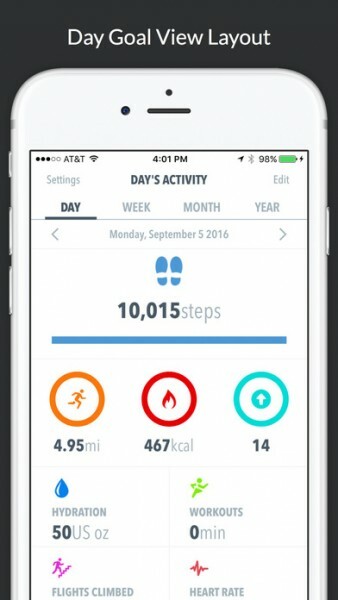 You can find HealthView – Your Health & Fitness Data Dashboard on the App Store for your iPhone and Apple Watch for just $1.99.